Chair Yoga with Sandy Cyrus @ OTPL! 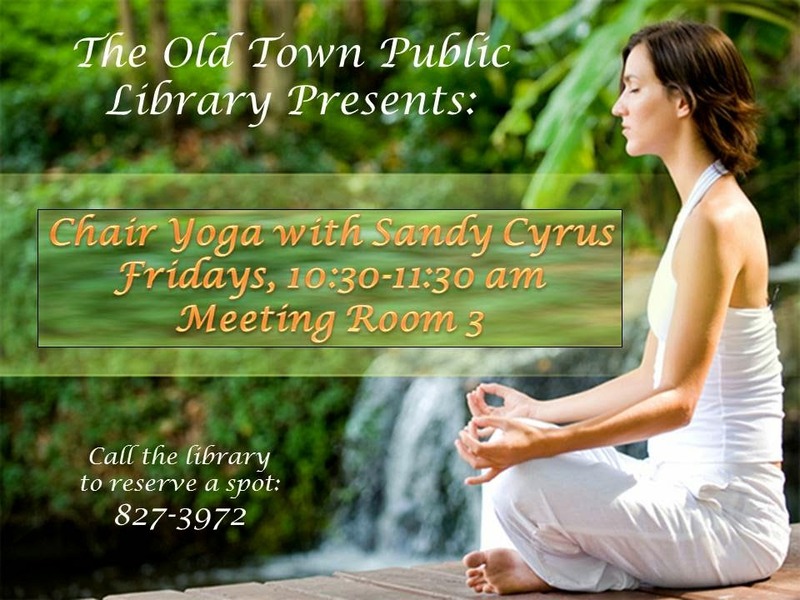 Join us on Friday mornings at 10:30, for chair yoga with Sandy Cyrus from Full Circle Yoga. She will help you strengthen your spine, improve your balance, gain flexibility and ease joint pain.